The point of this last chapter of Part 2 is to explore how “stable” the technological condition is on its own. We need to address this question because we’ve established that the technological condition is in need of reform. 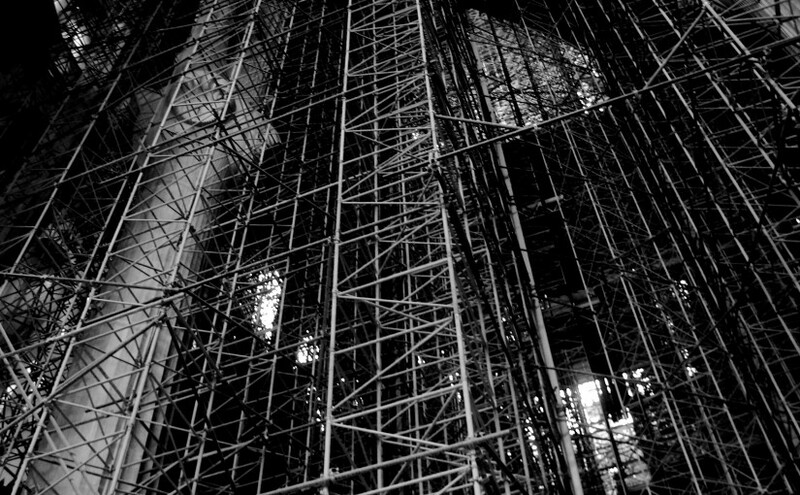 But if the whole thing isn’t very stable to begin with, then reform/revolution is easy: we simply wait for technological culture to fall apart on its own. In fact, many critics of technology take essentially this view—they believe technology is inherently unstable or has self-defeating tendencies. Borgmann disagrees with this assessment. His view is that technology has the resources within itself to solve whatever problems confront it, even the internal problems. The way that it will solve these problems is by continuing to extend the Device Paradigm into new areas, until it encompasses the whole of existence. Thus it is not a matter of technology “running out of steam” (pun intended), except accidentally or incidentally; it’s a matter of being clear about what a fully-technologized reality looks like so that we can attempt the necessary reform before it gets to that point. And that reform can’t be implemented if we misjudge the strength of the technological position. This is the problem with many critiques of technology, Borgmann says, especially ones that begin with claims in the realm of ethics or morality. 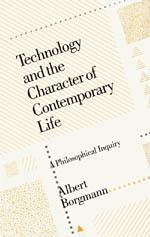 It becomes apparent in the course of argument that the proponents of technology have sufficient ways to reanalyze or respond to traditional morality, and so the critic has to retreat to saying, “well, that whole situation is not sustainable, you’ll see, it will fall apart one day” (Borgmann calls this the “unwarranted pessimism of the optimists” (145)). And indeed their pessimism seems unwarranted; however much our reality is reshaped by technology, it doesn’t appear to be falling apart of its own accord, though the traditionalists’ fears are indeed being realized. The most common claim about technology’s self-defeating character has to do with the ultimate limiting of resources. Critics argue that technology’s pace has only been sustained because we have not encountered an upper bound to the resources the technological engine needs to consume in order to continue producing new kinds of devices and commodities. But of course we will be running into that limit soon (and have already begun to feel the pinch more in the 30 years since Borgmann wrote, for example with oil). This will make the graph of technology’s effects look like an S-curve; innovation will eventually peter out. This criticism is ultimately naive, though, because it doesn’t reflect solidly enough on the Device Paradigm. The paradigm has simply to be extended in a more universal manner, and the resource problem disappears. Once we begin to look at the Earth itself as a device (“Spaceship Earth”), we will look beyond the device to find the necessary resources to fuel the device. The challenges in doing so are “merely” technical, and surely the kind of challenges that technology is in a position to solve. Even the “political” or “moral” issues disappear once everyone is lined up behind this framework. The amount of time it took for us to go from total oblivion with regard to climate change or other negative effects of technology to radical awareness and action is astonishingly small (recognizing the fact that some powerful parties still refuse to acknowledge the issues). We’ve had this change of heart as a planet not because we’ve decided to curb our consumption in order to respect the natural limits set before us, but because we’ll run out of fuel and stall if we don’t take care. The moment we find a new source of energy to mine, we’ll proceed as before, with no greater permanent insight. The deeper question in all this, of course, is: what does it mean for us to live in a device, a “ship” that requires “fuel”, floating in a vast, endless sea, rather than a familiar home, a mother, or any other of the more local conceptions of our planet? How does that alter our understanding of our own existence? How does it alter our respect for life for its own sake? And so on. We will reach a “physically homeostatic equilibrium”, first for the technologized nations then eventually everyone. In other words, change and disruption will be a thing of the past. The “availability” of technology will be made to encompass our entire experience, so that everything is safe, secure, reliable, ubiquitous, instant, easy, and so forth. We will experience continued scientific discovery within whatever physical limits we’ve reached. After that, we will still have a limitless variation of commodities, not least of which will be around entertainment, which can mine culture (and via feedback, itself) in a self-perpetuating fashion ad infinitum. Welcome! Always glad to show someone from the early 80s around the place. The biggest change, of course, is the smart machines—they’re all around us. It goes on to describe the various ways that “smart” devices around the home will make our lives easier and richer. You’d be familiar with all the examples: voice-controlled TVs and lights, kitchen appliances that mix cocktails perfectly, smart phone systems that know whom to screen, doors we unlock with our voice or fingerprint, etc… The question Borgmann wants to ask about this rhetoric is, “is this it?” Technology was initially propounded with such magnificent promise of lives enriched beyond measure, full of all the things that ultimately make existence significant. Has the promise been reduced to robotic mixologists and other devices that save us from the minor inconvenience of dealing with tasks and people? Perhaps not: there are still some authors, like Daniel Bell, who see technology as truly benefiting culture, making us all “more literate and educated”, as well as “culturally and politically attentive”. There are also of course all the “negative” benefits of technology, things like freedom from disease and so forth. But Borgmann’s main point is this: we have all either stopped caring about the deeper promises of technology, or not come to grips with the fact that those promises have not been realized, but have been co-opted by an endless progression of entertaining but meaningless paraphernalia. The promise of technology has been tied too strongly to the pattern of technology (the Device Paradigm). Can we recover the powerful vision (that spurred on technology’s early drivers) of our lives being transformed in genuinely good ways? Can technology be transformed? Here we get a clear (if rare) statement that Borgmann is not opposed to the promise of technology or to recognizing its massive positive achievements. But the promise of technology must ultimately be grounded in something other than technology’s characteristic way of operating. We must not be asleep at the helm while the ship steers itself. And what exactly can ground technology in such a way is the subject of the next and last Part of TCCL: The Reform of Technology. Thanks for writing this overview! I thought this was a very odd chapter. Anything that moves to such a macro-level is hard for me to connect with (earth spaceship). I do know that things come back around in later chapters but I was a bit concerned when I read this chapter that I was losing touch with the book. There was one really nice thought that I specifically pulled from this chapter — that technology is resourceful to deal with its flaws (145). Love this. Also love — Robot Mixologists! Ha! Yes, the point about technology dealing with its own impasses is really important. What it means is that we can’t expect that technology will ever encounter a crisis that it can’t solve from within the paradigm. This is good for technology, but bad if we think the technological paradigm needs reform. It means that any kind of reform will need to come from outside the paradigm.